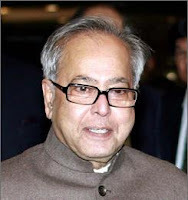 Finance Minister Pranab Mukherjee hinted that the government may push for some early action on enactment of crucial economic policy reforms like the pension reforms and banking and insurance bills in India. The investors and CEOs in the United States had expressed their concern regarding delays in their adoption. Mukherjee has also made it clear that the decision on allowing foreign direct investment in the multi brand retail could be taken if there is political consensus. After the meeting with Prime Minister Manmohan Singh, Mukherjee said the meeting became essential because he had to brief the Prime Minister on certain important discussions he had with Fund-Bank (IMF- World Bank) officials, the US-India Business Council, Investors Forum and CEOs and to initiate action at the government as a follow-up measure.